The College of Licensed Practical Nurses of Alberta (CLPNA) is pleased to introduce an exciting career and professional development strategy for Licensed Practical Nurses (LPNs) in Alberta. The strategy includes a range of career development services that will empower members and transform our profession. capacity within the profession to volunteer peer-to-peer support. With LPNs poised to take increasingly important leadership roles within their healthcare settings, CLPNA plans to foster professional growth and empowers LPNs to attain excellence in practical nursing. Career planning and development is key to assisting LPNs reach that potential. Developed by donnerwheeler, Career Directions is a proven framework specific to supporting nursing and other health care professional’s careers. The five-phase Donner-Wheeler Career Planning and Development Model forms the foundation for Career Directions. This model provides a process to move from recognizing career possibilities to taking action. The model is a focused on professional development and is designed for LPNs to take greater ownership of their career and to prepare for an ever-changing workplace environments. market to achieve desired career goals. The CLPNA is also developing a Mentorship Program to support Licensed Practical Nurses. 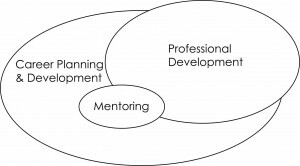 Mentorship is just one of many strategies to advance career and professional development. LPNs may also use a mentoring relationship to help increase enjoyment of and satisfaction with their current role and assist them in achieving career goals. The CLPNA looks forward to sharing more exciting information as we develop the program.